Autumn has well and truly arrived up in the Peaks – in all its burnt-orange, leaf-kicking glory! And we're delighted to have been featured on Love My Dress, one of the UK's most popular wedding blogs, in their 'Autumn Glamping' photo shoot. 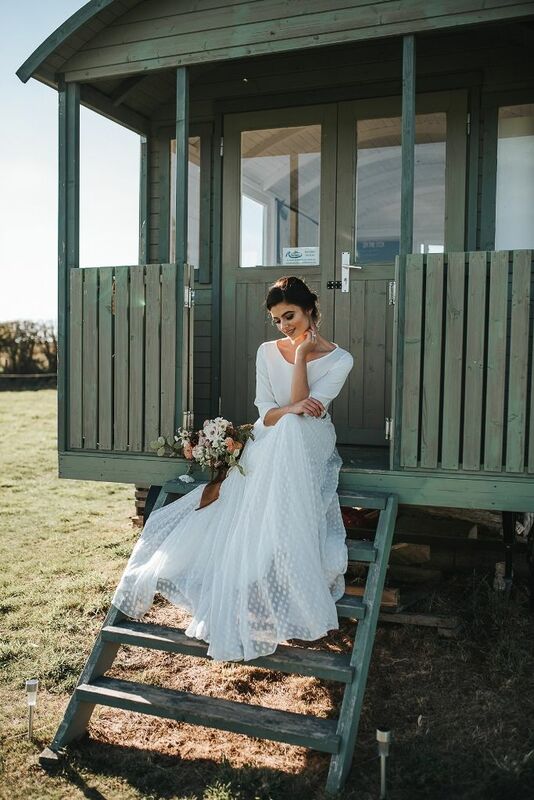 Wedding and event planner Natalie Hewitt originally approached us back in the late summer to get involved with the Autumn 2018 edition of Love My Dress's Styled Shoots. A huge shout-out to Natalie for inviting us along for the ride! We had a blast. Here are the wedding dresses we picked out for Love My Dress's big day. We love the photos, and we hope you do, too! Love the looks? Get in touch about creating your very own. Wedding planner Natalie Hewitt's personal favourite! This Charlie Brear modern classic in pale ivory luxe crepe combines a daring plunge neckline, wide bat-wing sleeves and a dropped waist skirt. The look: Effortless chic (and perfect for piggy-backs!). We brought some Barcelona bridal style to the English countryside with this stunning Jesus Peiro gown. The bodice features fitted tulle with lace trim in stripes, complemented beautifully by a flowing tulle skirt. The look: Classic with a twist of cool. 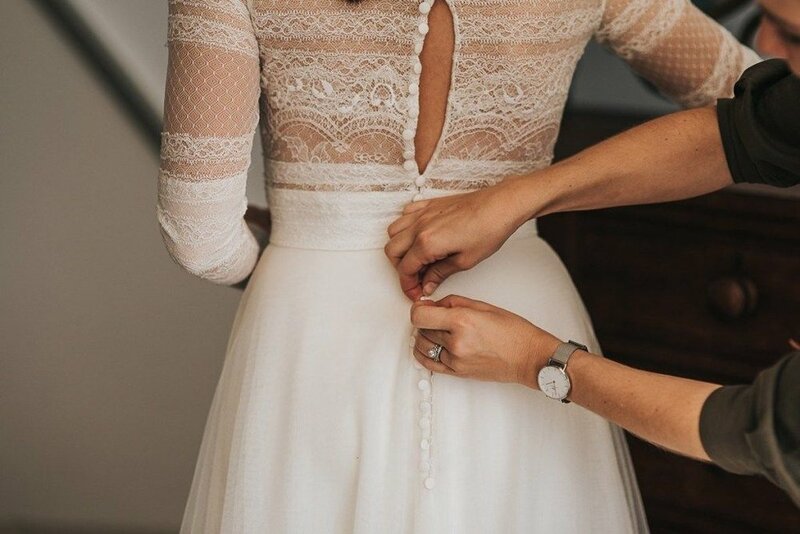 Charlie Brear is the queen of bridal separates and additions, so we chose this top and skirt combo to show off how easy it is to create something that's just that little bit special. The look: Unique, elegant simplicity.